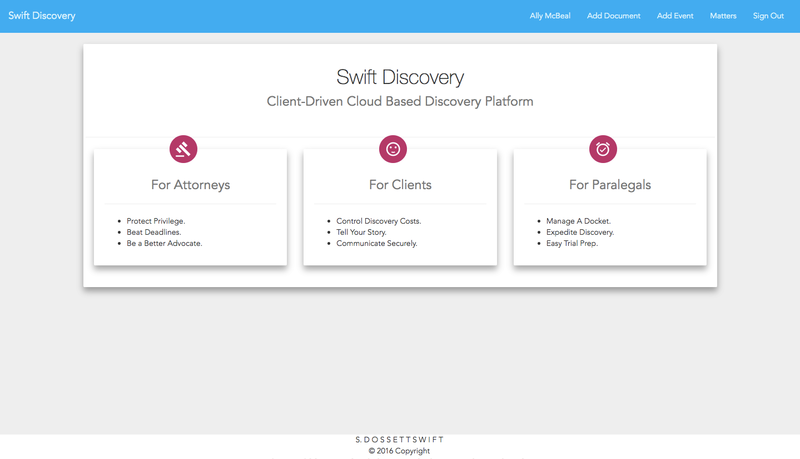 Swift Discovery is a tool devised for the civil litigation practice. While many law firm platforms deal with matter management, they do not address the discovery process. Discovery can be taxing in terms of time, money, and energy. Swift Discovery enables attorneys and clients to stay on top of necessary documents, as well as keep track of relevant events.